Congratulations on taking that important first step in your home ownership experience by visiting our website as a springboard to your real estate search. As top Edmond, Oklahoma City and Deer Creek REALTORS®, we make it our business to be aware of market trends, mortgage rates, and available homes on the market. 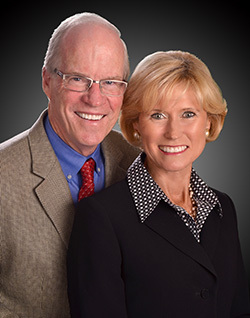 We are here to assist you with the entire process of buying or selling your home. Our passion is working with buyers and sellers. We use the latest technologies, market research and business strategies to accomplish your real estate needs. Excellent service and knows the business. Networked for a quick sale with incredible resources to buy or sell a home! The are my preferred realtor in OKC! Thanks Jack and Barbara for your service!